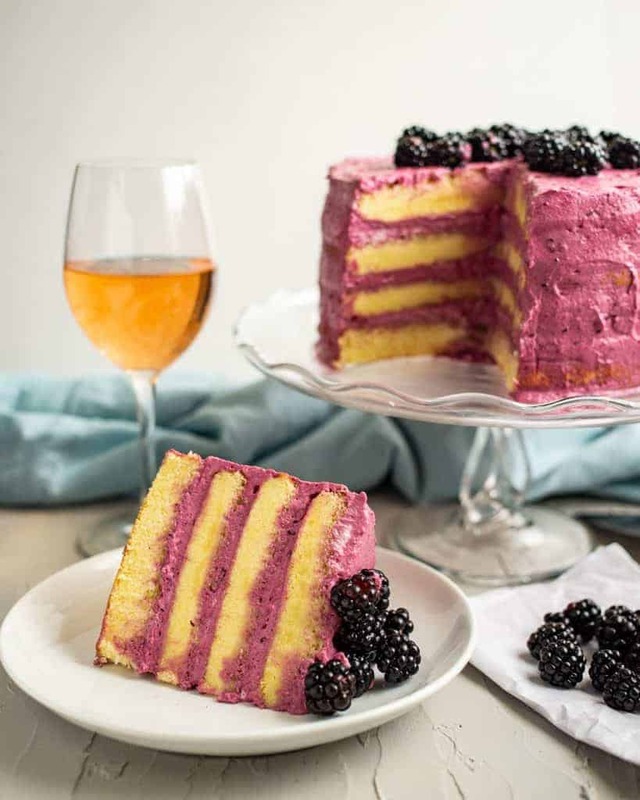 A recipe review for Blackberry-Mascarpone Lemon Cake from America’s Test Kitchen’s The Perfect Cake cookbook: a beautiful, four-layer lemon chiffon cake with sweet blackberry-mascarpone whipped cream frosting. [social_warfare] This post may contain affiliate links. See my disclosure policy here. Layered cakes have always intimidated me. 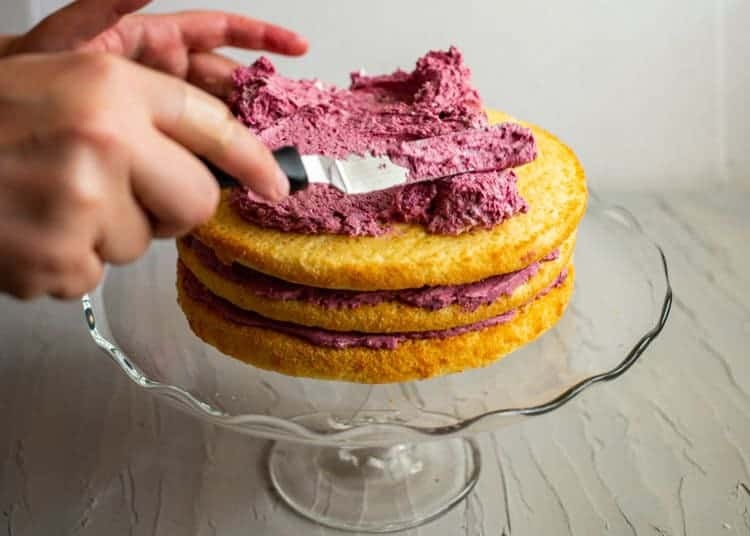 It’s easy to end up with uneven layers, cutting a cake in half to make two layers can be difficult, and cake crumbs can end up in the frosting. Even if you end up with uniform layers, making sure that the cake stays level when you fill and frost is difficult. Then you cross your fingers and hope that it doesn’t collapse or fall apart when you cut in and serve. I don’t speak from experience here, because I’ve always shied away from layer cakes – my favorite desserts are miniature, like cupcakes and mini cheesecakes. 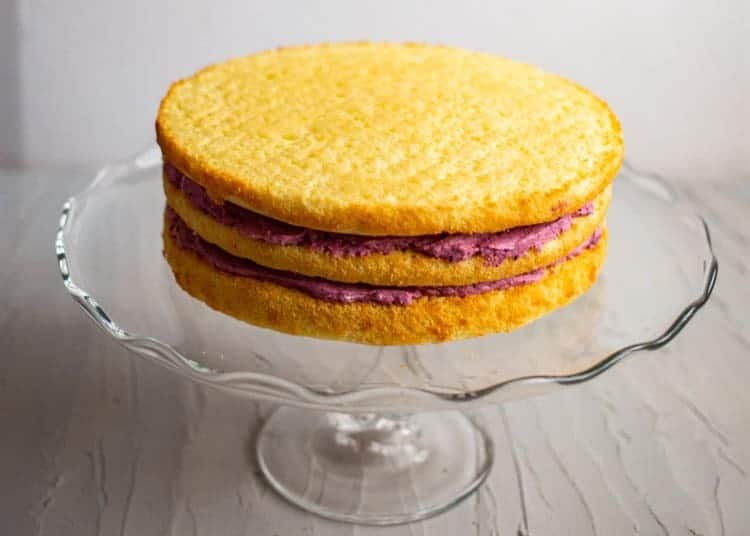 For my second bake with The Cake Slice Bakers, I chose a tall four-layer cake that looked virtually impossible to me: Blackberry-Mascarpone Lemon Cake. I’ve never made a chiffon cake before, or a four-layer cake, or homemade blackberry jam. I was not very confident in my abilities, but the recipe laid out each step, so it was actually quite successful. You’ll start by making homemade blackberry jam. 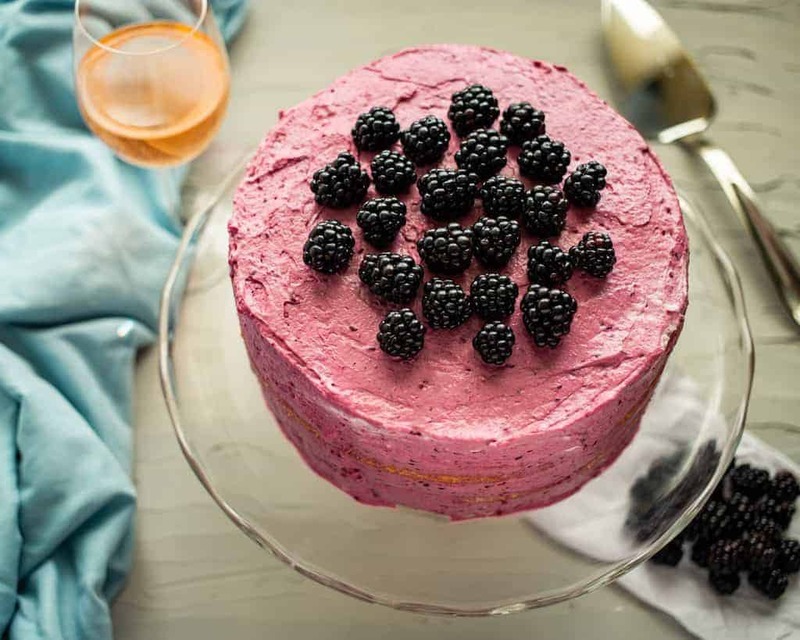 Process the blackberries in a food processor and then cook on the stove with sugar until the mixture has thickened. I used thawed, frozen blackberries since the fresh ones at my store didn’t look great. Allow the jam to cool completely. 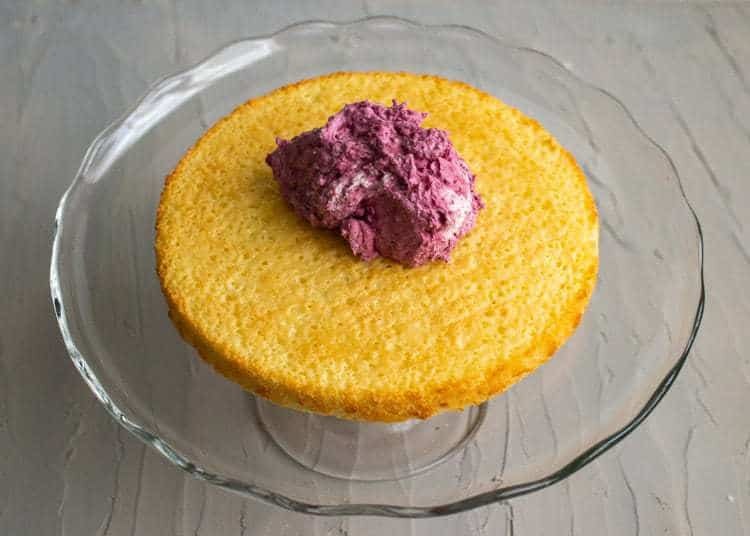 For the cakes, America’s Test Kitchen recommended using parchment paper in the bottom and greasing and flouring the parchment paper and sides of two 8-inch round cake pans. I recently heard of the “greaseless method” for preparing pans where you only use parchment paper on the bottom with no butter/shortening or flour, so I tried it this way. To make the batter, mix all of the dry ingredients together and then whisk in some eggs, egg yolks (save the whites for a later step), butter, water, lemon, and vanilla. In a separate bowl beat egg whites until foamy, add a bit of sugar, and whip some more until soft peaks form. Then fold the first bowl of ingredients into the egg whites in stages until combined. Divide the batter in the two cake pans and bake. When the cakes are done, allow them to cool on a wire rack before removing from the pan. Repeat the process to make two more cakes. Let all of the cakes cool completely before you start to assemble. While the cakes are cooling, work on the frosting. You’ll start by preparing gelatin with a bit of water. The gelatin will help with the consistency of the mascarpone whipped cream frosting. Then whip mascarpone, cream cheese, sugar, vanilla, and salt until smooth and fluffy. Transfer the mascarpone mixture to another large bowl, clean the mixing bowl, and start whipping the cream. As the cream whips, slowly pour in the gelatin. Gently fold in the whipped cream into the mascarpone mixture in batches, then fold in the cooled blackberry jam. To assemble the cakes, place one on a cake plate, add about one cup of frosting and spread evenly, add the next layer and continue. Refrigerate for at least 20 minutes to help it set before serving. The cakes were a bit dense, I think because I didn’t whip the egg whites for long enough, but still tasted amazing. 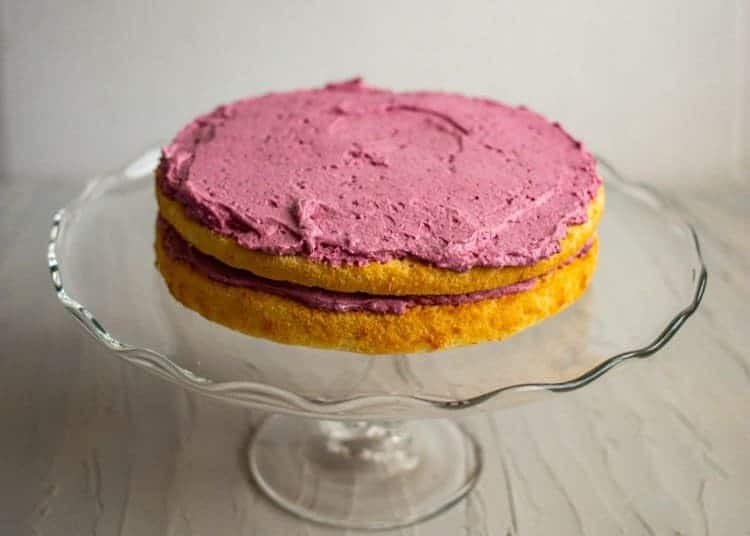 The blackberry-mascarpone frosting was described by my sister as “refreshing, airy, and creamy.” My family liked the frosting so much that they ate the leftovers straight from the bowl. 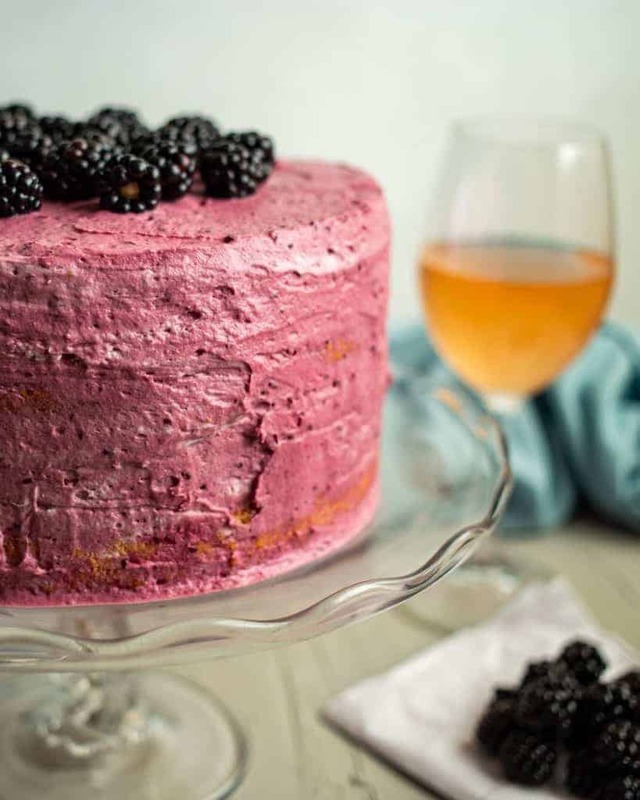 The sweet, creamy, blackberry frosting perfectly complemented the tart lemon cake. We only ate about half of the cake the day I made it, so I refrigerated the rest in individual slices and the leftovers still tasted good several days later. The hardest part of this cake for me was frosting the layers, so I guess I’ll need to continue to make more layer cakes to practice my skills! You can find the recipe on America’s Test Kitchen website here. And for more researched, fool-proof recipes, look for The Perfect Cake Cookbook on Amazon here or at your local library. If you enjoy baking, this will definitely become a favorite cookbook. 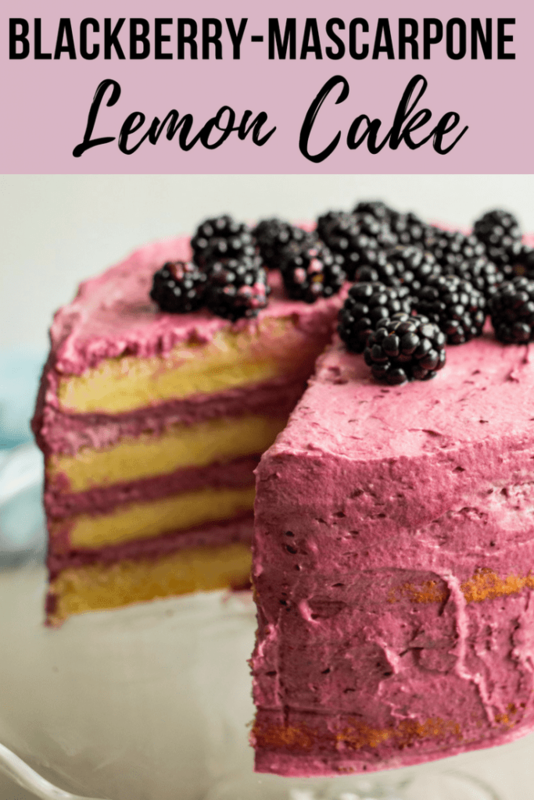 If you enjoyed this recipe review for Blackberry-Mascarpone Lemon Cake from The Perfect Cake cookbook or if you’ve tried anything else from their cookbook, please comment below and let me know! Each month The Cake Slice Bakers are offered a selection of cakes from the current book we are baking through. This year it isThe Perfect Cake from America’s Test Kitchen #atkcake. We each choose one cake to bake, and then on the 20th – never before – we all post about our cake on our blogs. 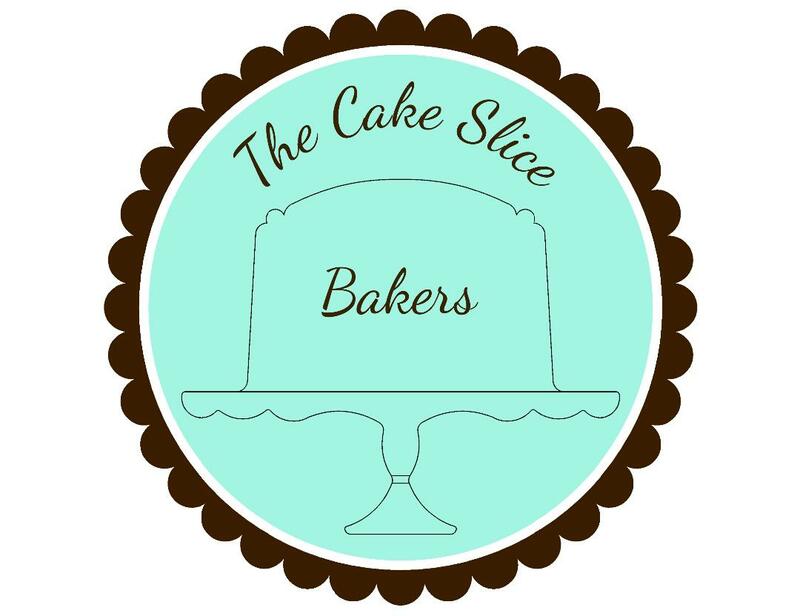 There are a few rules that we follow, but the most important ones are to have fun and enjoy baking & eating cakes!Follow our Facebook, Instagram, and Pinterest pages where you can find all of our cakes, as well as inspiration for many other cakes. You can also click on the thumbnail pictures below to take you to each of our cakes, or visit our blog where the links are updated each month. 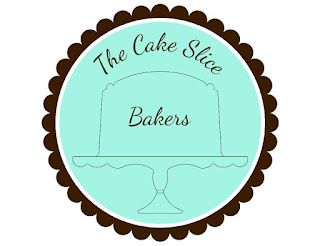 If you are interested in joining The Cake Slice Bakers and baking along with us, please send an email to thecakeslicebakers at gmail dot com for more details. The choices for August were Blueberry Boy Bait, Raspberry Charlotte, Blackberry-Mascarpone Lemon Cake, and Peanut Butter and Jam Cake. Your cake looks amazing. I’ve always been intimidated by layer cakes too… this my attraction to sheet cakes! I need to stretch myself! Thanks, Karen! It was actually easier than I thought it would be! Oh Danielle, I was hoping someone would make this one. It’s lovely! Thanks, Susan! I was really drawn to the colors of the finished cake – beautiful yellow cake with the pink/purple frosting… Can’t go wrong with that combo! Looks like frosting was a hit! I might make with strawberry. Looks like a perfect layer cake to me. You have even amounts of frosting between the layers, all the layers line up…no leaning tower…and the finish on the frosting is lovely. Hope you make more layer cakes so we (and you) can enjoy them, but your skills seem to be excellent! I’d say you cake was more than successful, it looks sensational. Beautiful photos too. Your cake turned out beautifully! I agree that the frosting was amazing. I actually caught one of my children eating some of the leftover frosting on top of crackers. I love the contrast in colors here, and the frosting in particular sounds fantastic.